As the State Director of West Virginia Working Families Party, it has been my honor to stand arm-in-arm with the workers who went on strike from all 55 counties of our state over the last few days. 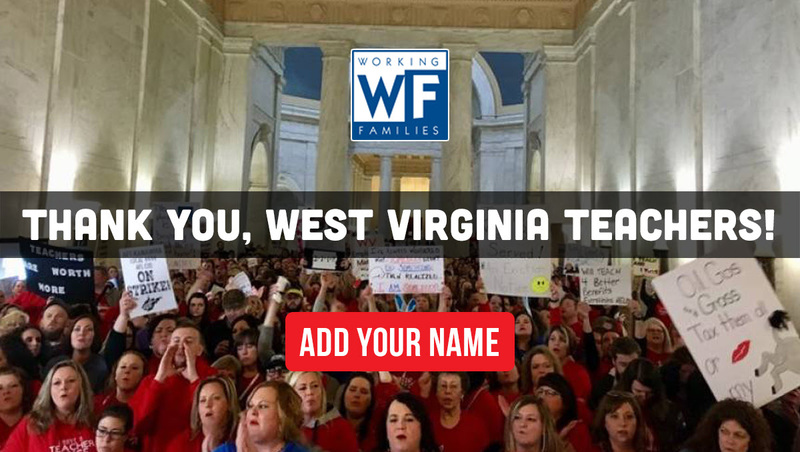 Because West Virginia does not recognize the right of public employees to collectively bargain, these teachers went on strike at great risk to themselves and their livelihoods. But they stood together, united in solidarity, and settled for nothing less than the 5% raise that they deserved. Their bravery has inspired a nation and exposed deep fissures in our state — how legislators are bought and paid for by the coal and gas industries and how state spending is tilted in favor of funding big business rather than the health and welfare of West Virginians. We do not, however, owe any thanks to our Republican legislators or governor. We should not have needed to be out of school for 9 days to get a sliver of respect for our public employees. Our state has suffered due to their misguided priorities of tax cuts for the rich while the rest of us struggle to make ends meet. So while today we celebrate a victory of unity, tomorrow we look toward the future. There is so much work ahead of us, but we remain #55United and #55Strong! Click here to sign our thank you card to the striking teachers and support personnel to let them know we have their backs.